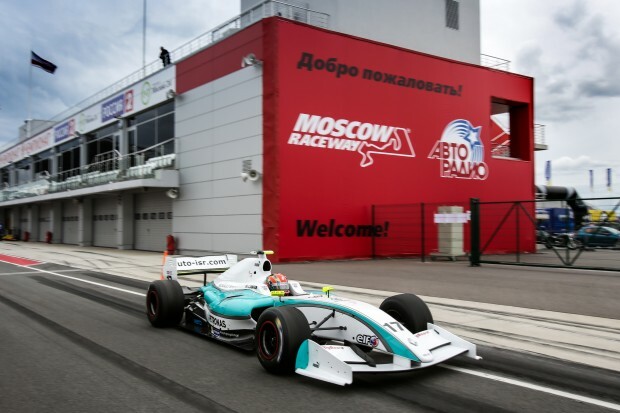 The fifth round of the Formula Renault 3.5 Series held in Moscow this weekend resulted in a strong fifth place finish and ten valuable points for Jazeman Jaafar in the first race and 12th place in the second race. The first day of practice saw Jazeman and the ISR teamwork on set up for qualifying and the two races. By the end of the second hour of the sessions Jazeman had lapped tenth quickest, just four tenths shy of a top three time. Saturday’s qualifying for the first race was held in lower track temperatures than practice which produced additional challenges for Jazeman and his engineer as they quickly adjusted set up to the conditions. Their hard work resulted in seventh quickest time for Jazeman by the end of the qualifying session and the young Malaysian was set for a third row grid slot for the first race. The start of the first race saw plenty of drama with two front-running drivers stalling on the grid causing an aborted start. When the field finally took the green flag Jazeman had a superb start, powering into fifth place. The PETRONAS supported driver then set about chasing fourth placed driver, Roberto Merhi. With a narrow track, notoriously difficult to pass on, Jazeman focused on putting pressure on his rival, but despite his relentless efforts he had to settle for a solid fifth place at the chequered flag, with a haul of ten valuable championship points. Sunday’s qualifying session for the second race was frustrating for Jazeman, with the 21-year-old driver unable to achieve his potential after being baulked by a number of drivers on his hot laps. Jazeman was caught out by drivers ahead slowing at the end of the lap to create space between themselves and the driver ahead, as they went for a flying lap. However, this action compromised Jazeman and the Malaysian driver found himself unable to put in the sort of time he was capable of producing. By the end of the session Jazeman had posted 14th quickest lap, a time Jazeman knew was unrepresentative of his pace. Jazeman made a good start for the second race, overtaking one car by the end of the first lap. He jumped another car after the pitstops, but with the limitations of the tight track, was unable to make any further progress, finally crossing the line in 12th place. Jazeman said of the weekend, “It’s been highs and lows for me this weekend. We worked hard to find a good balance with the car in the practice sessions and this resulted in a good qualifying pace on Saturday. Finishing fifth in the first race was a fair reward for our efforts and I was pleased to collect the points. Jazeman returns to Formula Renault 3.5 Series racing action in Nurburgring in two weeks time.